You can count on us for quick response for septic tank repair in Mulberry, FL. Septic Tank Repair in Mulberry – Have you been having issues with your septic system and a company has told you that septic tank repair won’t resolve the problem? Before you shell out the huge cost for a new system, give us a call at William Dustin Septic. We will be glad to give you a second opinion about whether you need a new septic system or if septic tank repair could gain you some more time. We prefer to give you both options, so you can make the decision based on facts, not sales hype. You can count on us for quick response should you need septic tank repair. We are available 24 hours a day, 7 days a week. Don’t let that backup damage your home, belongings, or landscaping, when we can get there fast and reduce the potential risks involved. You can also call us before you have a complete backup. Should you experience water standing in your yard by the septic system, gurgling drains, slow flushing or draining, or frequent overflowing toilets, give us a call, as these are all signs that you may need septic tank repair to resolve an issue. Even the newest of homes in Mulberry, FL can experience septic issues. One reason is that soil conditions are not always optimal for septic tank installation and may not have been properly addressed by the home construction company. 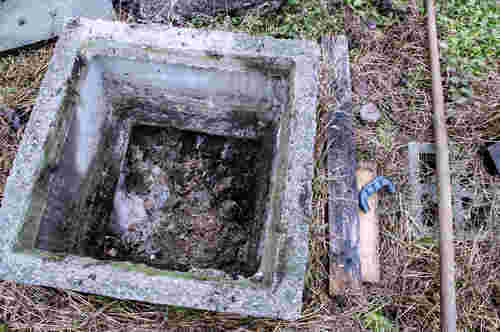 Another common problem is the lack of proper bacteria in the septic tank. This can result in excess slime at the entrance to the tank, which is very problematic, but easily resolved. Don’t wait until you have more serious problems before calling us for septic tank repair. Many issues are very affordable to take care of early in the game. Give us a call today to handle your septic tank repair or any other septic related issue.